Flow batteries can turn intermittent wind power from a utility manager's headache to a green and reliable energy source. Sodium-sulfur batteries make up a third of the overall installed grid energy storage market at 316 MW, followed by lead acid batteries (35 MW) and nickel cadmium batteries (27 MW),, then lithium-ion batteries (which are still expensive) follow with 20 MW. 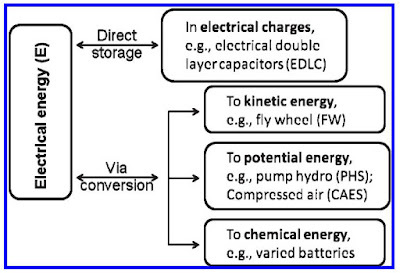 At the bottom of the list are redox-flow batteries with less than 3MW. 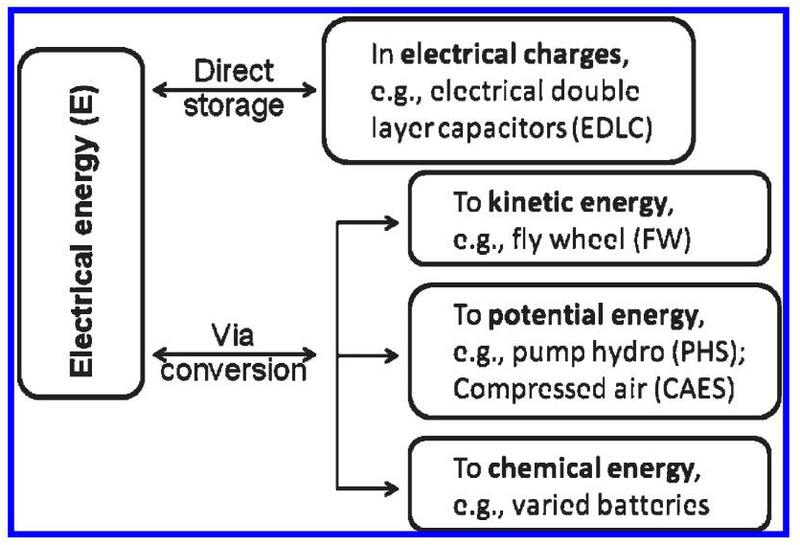 Flow batteries are just starting to come to market and have been proven in the lab to operate for 5,000 charge cycles or more. This is a 10x improvement over standard consumer lithium-ion batteries. For frequency regulation by grid operators, who will want short bursts of energy and therefore a storage time measured in minutes, the least expensive choice is lead acid batteries, which cost $950-$1,590 per kilowatt, or $2,770-$3,800 per kilowatt-hour. Lithium-ion batteries follow with $1,085-$1,550 per kilowatt, or $4,340-$6,200 per kilowatt-hour. Required for the use of electricity generated from intermittent, renewable sources such as solar and wind. Low-cost electrical energy storage will transform renewable energy sources from a bit player to a mainstream role in our energy economy. Off-peak electricity compresses air which is stored underground. When electricity demand is high, the compressed air is heated with a small amount of natural gas and then goes through a turbine to generate electricity. Follows far behind pumped hydro with 440 MW. The cheapest option when looking at megawatt-scale storage systems to support hours of storage. Compressed air technologies cost between $960-1250 per kilowatt, or $60-125 per kilowatt-hour. Pumping water to a reservoir to release later to run generators, or pumped hydro, is an old approach and now makes up the biggest slice of the market. Over 127,000 MW of the global energy storage market, or a whopping 99 percent, of it, belongs to pumped hydro. The most powerful flywheel energy storage systems currently for sale on the market can hold up to 133 kWh of energy. Flywheels, which are spinning discs, take in less than 25 MW of the market. Flywheels are the most expensive, at $1,950-$2,200 per kilowatt or $7,800-$8,800 per kilowatt hour. More efficient than other storage methods because electric currents encounter almost no resistance. All the comparisons of the different storage doesn't really make a lot of difference if they aren't going to improve our capacity anyway.